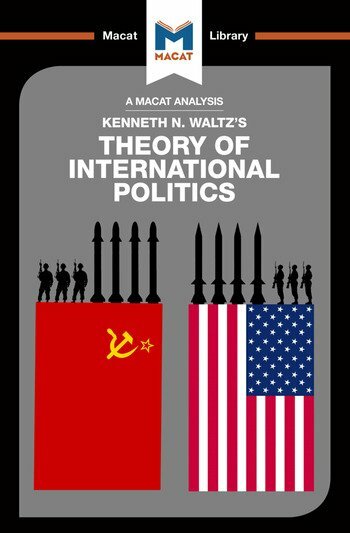 Kenneth Waltz’s 1979 Theory of International Politics is credited with bringing about a “scientific revolution” in the study of international relations – bringing the field into a new era of systematic study. The book is also a lesson in reasoning carefully and critically. Good reasoning is exemplified by arguments that move systematically, through carefully organised stages, taking into account opposing stances and ideas as they move towards a logical conclusion. Theory of International Politics might be a textbook example of how to go about structuring an argument in this way to produce a watertight case for a particular point of view. Waltz’s book begins by testing and critiquing earlier theories of international relations, showing their strengths and weaknesses, before moving on to argue for his own stance – what has since become known as “neorealism”. His aim was “to construct a theory of international politics that remedies the defects of present theories.” And this is precisely what he did; by showing the shortcomings of the prevalent theories of international relations, Waltz was then able to import insights from sociology to create a more comprehensive and realistic theory that took full account of the strengths of old schemas while also remedying their weaknesses – reasoning out a new theory in the process. Riley Quinn holds master's degrees in Politics and International Relations from both LSE and the University of Oxford. Bryan Gibson is a diplomatic historian, who completed his PhD thesis, entitled, 'U.S. Foreign Policy, Iraq, and the Cold War, 1958-75,' at the LSE's International History Department.